Are you planning on attending the Spring Show and Three Year Old Futurity? Don’t forget to make your camper reservation! 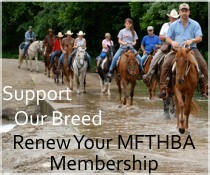 Contact the MFTHBA office today to reserve your spot.